Gone are the days when a shopper went to their local radio store, browsed the options on the shelf, and went home with the best choice. Years of consumer reports, television ads, newspaper articles, blogs, online reviews, and apps have made the shopping process a very complex thing indeed. Shoppers have dozens of options to satisfy their needs – browsing online, tweeting to their friends about a shopping experience, reading Yelp reviews about a product they’re considering, and doing massive amounts of research before purchasing. Spreading out marketing materials across different platforms makes sense, and no digital marketing strategy is complete without some channel diversity. 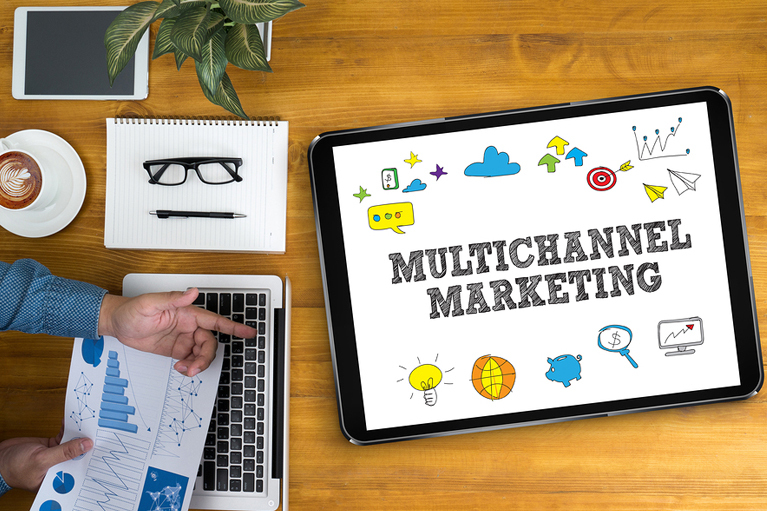 However, there’s a marked variance between multichannel and omnichannel marketing that will make a noticeable difference in the success of your marketing campaigns. Whether you stick with one approach or mix and match a few, understanding their unique qualities will help you adjust your strategies for each campaign. Multichannel marketing is a technique for delivering content to multiple systems at the same time. This means your content must align seamlessly with the proper formats of each individual platform you’re accessing. If a consumer is buying an airline ticket, the content of the website on their laptop should align with content they’ll see on their smartphone. Omnichannel marketing, on the other hand, is about preparing your content for every channel. Omnichannel marketing requires creating different content for different channels – for example, writing a blog for a website and posting a brief hook for the post on Twitter. In 2016, successful online marketing campaigns need to have a firm grasp on the multifaceted animals that are multichannel and omnichannel marketing. Before you get discouraged, remember there are resources to help you find your way through the maze of technical lingo, ever-evolving systems, and seemingly endless innovations in the marketing world. 1. Make your content on-point. In a world where content is being mass-produced in astronomical quantities (and that rate is only increasing), don’t let your content become lost in the shuffle. Readers want to be able to receive the information they want quickly, without having to waste time searching for it. Research shows that readers skim web pages in an “F” pattern – the eyes skim horizontally across the title, vertically down the left-hand side of the page, and then horizontally again. The quality of your content decides if the reader will keep reading past the first line, or moves on to the next website. Your content should not only be informative, it needs to engage the reader. We are living in an age where customers search for companies they feel a connection with. They want to know what a company stands for, what causes it supports, and what kind of personality they embody. Does your content have a personality? If you aren’t sure, the answer is probably no. Creating a human voice in your content could likely mean the difference between customers staying or clicking the “back” button. 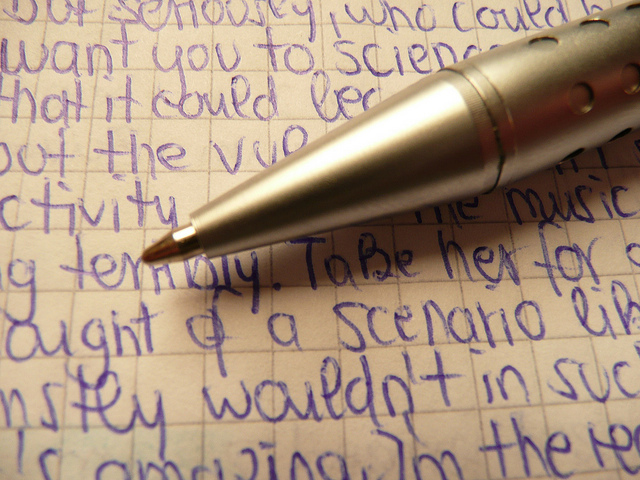 There is a lot of talk about content marketing lately, and it’s for good reason. Content can directly affect a company’s bottom line. 2. See your business through a customer’s eyes. Is your audience young? Middle-aged? Are they mostly casual customers or do you thrive from the business of consistent buyers? Are they on Instagram or Snapchat? Defining your target consumer base is the first step in understanding your customer. Keep in mind what engages and involves your customer base and redirect your multichannel technique using it. Cover all of your bases, and assume your customers will be using multiple interfaces to access your website. Step into your customer’s shoes by viewing your website on several different devices. When you place an order on your iPad, does a confirmation email come up on your laptop? When you live-chat a customer service representative, does it connect immediately while on a smartphone? If you submit a request for technical support, does the right person in the company receive it and reply promptly? Multichannel marketing means your website needs to work flawlessly on a number of different platforms, without glitches or unnecessary barriers. Customers will be able to see the difference between a company who was thinking of them and one who is only concerned with the bottom line. A company obsessed with profit margins might overlook simple fixes that could improve user experiences, like using related images or intriguing video content. If you look at your business objectively, odds are you will find ways to improve the multichannel experience for your customers. All of this will help you create a space they’ll want to come back to again and again. 3. Design your own unique multichannel infrastructure. Each company must develop its own infrastructure. No single model fits across the board, but there are certain aspects each company can use in their own model. For instance, each model should keep the customer’s experience their top priority. Multichannel marketing is all about keeping customers happy and making their interactions with your company seamless. The majority of consumers today begins a transaction on one device and finishes it on another. A teacher might place a bag of pencils in her shopping cart on Amazon on her phone at lunch and return to the website later on her laptop to complete the purchase. She expects the item to still be in her shopping cart even though she switched devices. Information must be transferrable from one channel to another. With this in mind, design your own multichannel plan to the greatest benefit to your customers. Does your website offer comparisons of different flight prices? A great idea for your multichannel approach could be to send an automatic email if a person was looking at a particular flight on your website, giving them information on similar flights. The ideal company encourages customers to download their app, sign up for push notifications, subscribe to the email list, text team members, and find them on Google. Your customers are expecting a seamless transition from one device to another, and you have to make sure you deliver. There’s nothing a customer likes more than to feel appreciated. It’s even better if you can do more than a simple “Thank you for your business” email – go the extra mile and offer them a coupon code for next time they shop with you, or if you’re particularly ambitious, mail them a handwritten note. This works especially well in multichannel marketing because users like to be rewarded for accessing your website on multiple devices. For instance, you can give them an incentive for downloading the app, like offering free shipping on their next order. You could also write a blog thanking your customers and supporters, as long it’s sincere and from the heart. Remember, they will be able to tell the difference! 5. Deliver on your promises. If you’ve said your app is free, it should really be free. If your Facebook page hosts a contest for its fans, be sure to pick a winner. It may sound simple – that’s because it is! It’s human nature to feel angry and disappointed when you’ve been told one thing and given another. Avoid letting your customers down by simply following through with your promises. A company who stands by what they’ve said proves to customers their loyalty won’t be misguided. Customers want to feel safe believing that once you’ve given a guarantee they can count on you completely. Consumers are far more likely to maintain loyalty to a company they know they can trust. Don’t let multichannel or omnichannel marketing make you feel like a fish out of water – it may sound high-tech, but it goes back to the original rules of business. Put your customer first and offer a high-quality experience, and you’ll have effective marketing strategies in the bag.